Vision Maple VML, Drum Set from Pearl in the Vision series. Pearl’s Vision Series offers 4 Maple and Birch configurations with a selection of new colors and finishes. 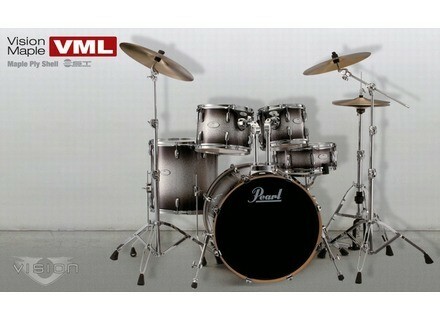 Vision Maple and Birch kits are available as shell packs or complete kits with award winning 900 Series hardware. 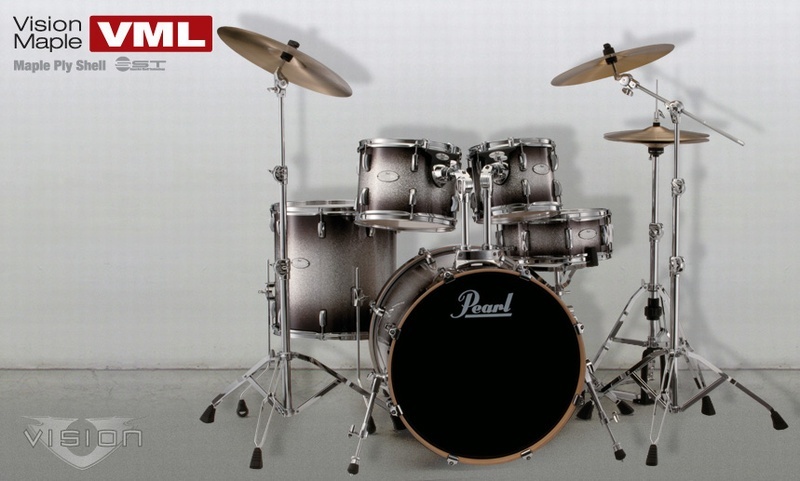 Vision Maple Lacquer features 6ply shells with gloss lacquer finishes, including Pearl’s Artisan II Lacquer. Vision Maple includes chrome hardware, wood bass drum hoops and a matching wood snare drum. Vision Birch Lacquer features 6ply Birch Shells. Available in gloss lacquer with chrome hardware, Vision Birch Lacquer kits come with matching wood bass drum hoops and a Steel Sensitone Snare Drum with a chrome finish. Vision Birch Artisan comes in 3 Artisan II finishes. The 6 ply shells come with matching wood hoops and a matching snare drum. Vision Birch offers gloss coverings. Vision Birch includes a matching Birch ply snare drum, and wood bass drum hoops. Select finishes are available with black hardware. All four of the new Vision Series configurations are available as shell packs, or as full kits sold with Pearl’s 900 series hardware. Visit www.pearldrum.com for more details. Pearl D3000-TC Timpani Throne The new D3000-TC Timpani Throne by Pearl features a hydraulic-lift cylinder, so the player can adjust the seat over a range from 23" to 33" tall.